Dive into the ocean of chic fashion! From fresh floral motifs to stylish collar necklines to the statement making dresses, lay your hands on styles- utterly fashionable & trendy. 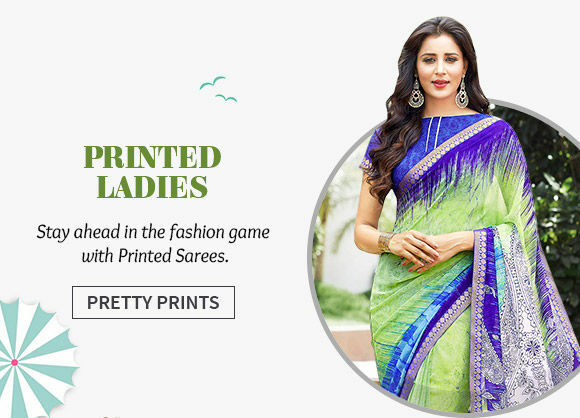 Saris splashed with Floral, Abstract, Paisley, Foil Prints & many other refreshing motifs are sure to exude a fresh, chic & candilicious look this summer. 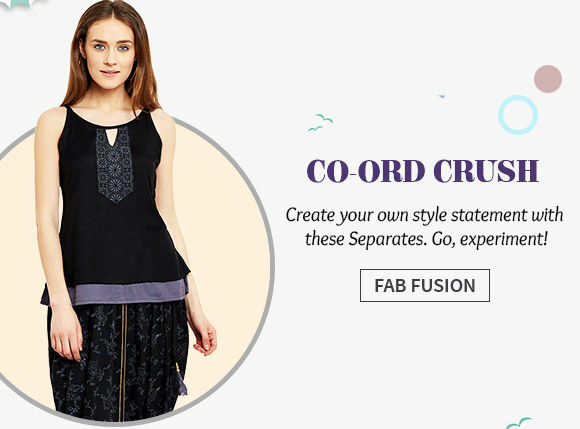 While you are all set for that perfect brunch or casual hangout, do drape this beauty. Mix-n-Match is the latest style mantra. Pair a Crop Top or Tunic with Skirt & there you go- painting the town red. A pair of Palazzo or Dhoti Pants would be a good option as well. Throw in some junk jewellery to finish your look. There is no looking back for this comfortable, smart & stylish outfit. 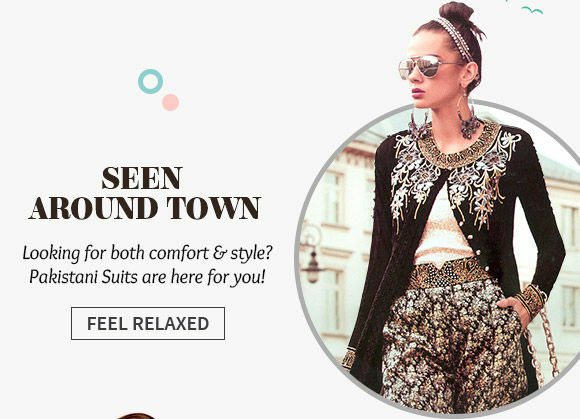 The eye-catching prints & embroiderers on Pakistani Suits just take the beauty of them, a notch higher. 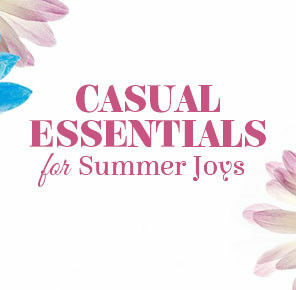 They’re perfect for all seasons & ideal for every occasion. 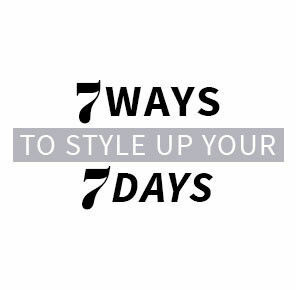 Chinese, Band or Shirt, it’s officially cool to rock a high collar neckline. 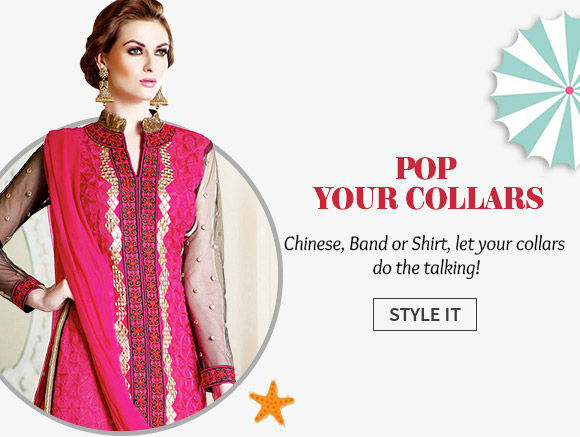 A statement blouse with embellished-bandhgala collar gives you a graceful, urbane look! And a Shalwar Kamiz with Chinese collar is a total game changer. Stun the show, ladies! 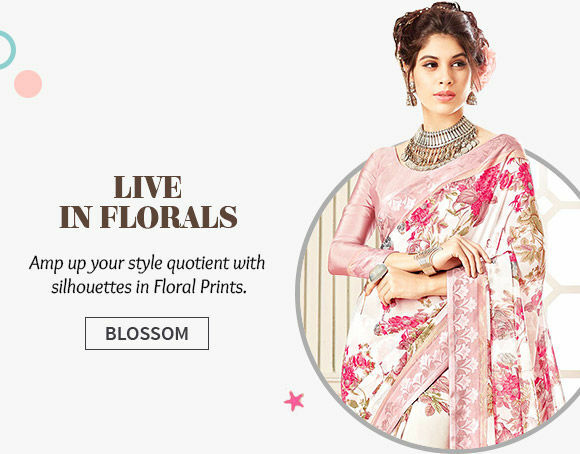 Spring into Florals this season! 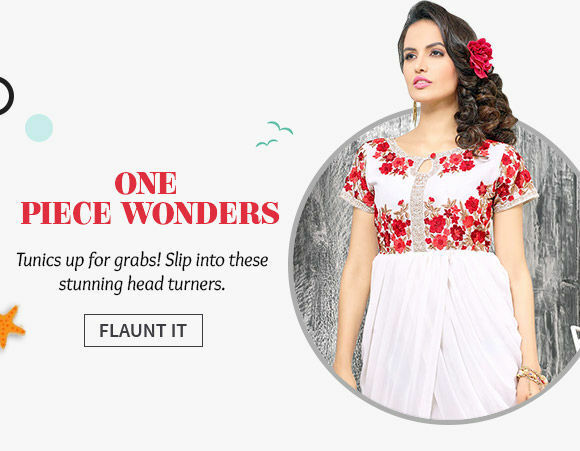 Embrace your feminine side with Saries, Salwar Kameej, Lengha Chunri & other ensembles in Floral Motif. 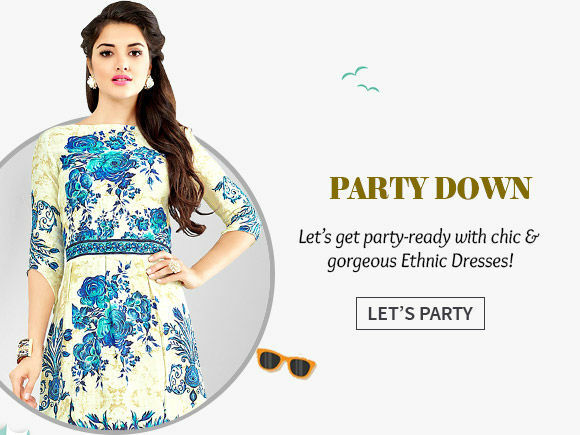 Play with colors, go for subtle pastel tones for get-togethers & switch to dark hues for night parties. Look gorgeous! With a touch of contemporary twist like asymmetrical hemlines, jackets & kaftan style, Tunics are ruling millions of hearts. Give a Boho vibe to your look with some oxidized jewelry & minimal makeup. These men’s wear trends are creating waves on the fashion scene. 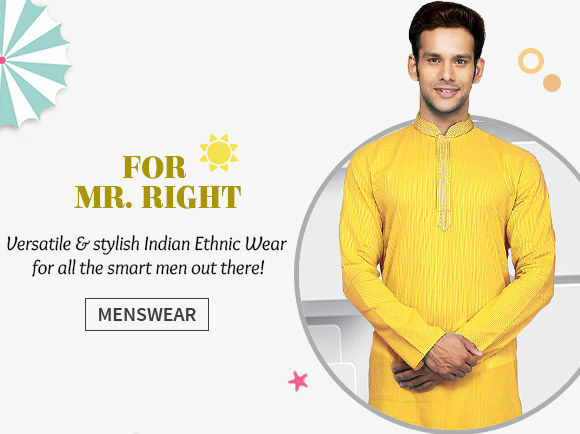 Nehru Jackets, Sherwanis, Pathani Suits & Dhoti Kurtas in season’s latest hues & designs are favorite amongst men fashionistas. Available in Jacquard, Velvet, Khadi, Brocade & Art Silk & many more. 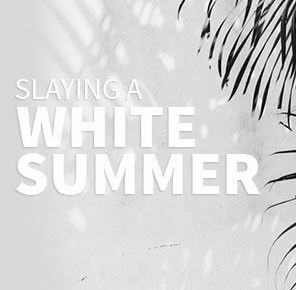 Looking for some cool, serene & refreshing hue? Blue color is what you are eyeing for. 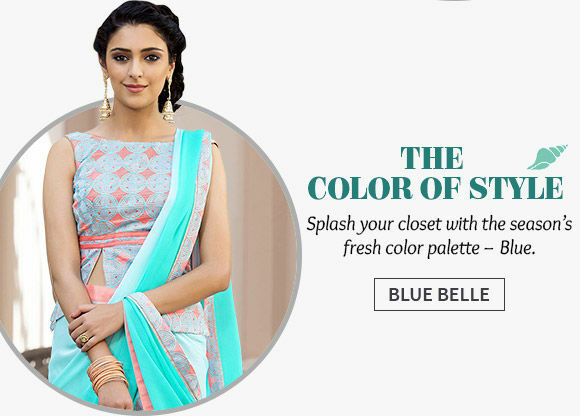 Go for Silhouettes in midnight blue, royal blue, sapphire, powdery blue, indigo et al. A myriad of options are on the block. Short Dresses with asymmetrical hemlines & Long Maxi Dresses with intricate embroideries & striking prints are sure to make all heads turn. Go for bright colors like Yellow, Pink, Tangerine and Red.